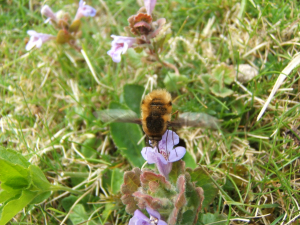 Observation - Bee-fly - poss. Bombylius major - UK and Ireland. Description: c.5 of these flies in sheltered spots on the Hill. c.5 of these flies in sheltered spots on the Hill.